Job interviews are easily the most stressful part of the process of looking for employment. Preparing for a job interview can help a person maximize the likelihood that they will be hired at the end of the process. There are always going to be things to avoid doing at job interviews; using slang, dressing inappropriately, acting inappropriately, etc. That leaves the main question on the table. What are some things that a person should do when they are preparing for a job interview? Wardrobe – Job interview clothes can play an important role in how a person is perceived by the person doing the interview. Dress well. 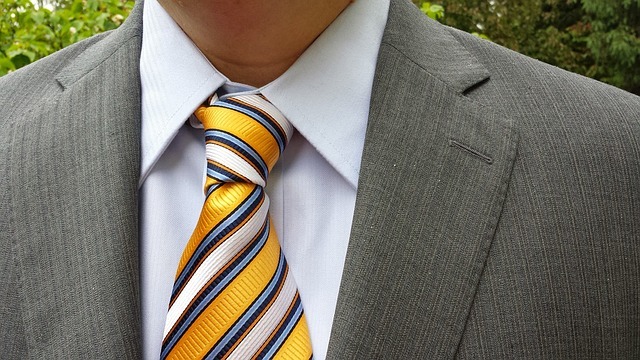 Dressing in a suit is best, but business casual should be the bare minimum. Resume – Have your resume in order. Know what is on your resume. The number of people who go for a job interview and don't even know how to answer questions about their own resume is getting larger by the minute. If you put something on your resume, be prepared to speak about it. Time – Respect the time of the people who are interviewing you. They are likely going to be your supervisors in the future. Show up on time, have prompt answers for questions, and try not to waste their time needlessly. Demeanor – Try to act natural. Smile. Be kind. Be courteous to anyone that you come across. Remember: you don't work there yet, so you don't know who is who. It pays to be better safe than sorry. Interview Questions – A simple online search will yield most of the common questions that are brought up during interviews. Having answers that are acceptable for these types of questions is a must prior to going in for the interview. This will make a person look more professional and make that person stand out from the other, less prepared, candidates. Preparing for interview questions is something that every job candidate should do. Know the interviewer – The person conducting the interview is often going to wind up being your supervisor should you get the job. It pays to do a little background research and know a little bit of information about that person ahead of time. Don't stutter – Be confident in your responses to interview questions. Don't say things like “uh”, “um”, or other phrases that are simply space fillers because you don't know what to say. It will always pay to do some background research before any job interview. Knowing a little bit of information about a business, leadership, or the software they use day-to-day will give you an air of professionalism during the interview. It will also show the company that you have taken an interest in them besides simply trying to get paid. For example, if you walk into an interview at an accounting company that manages payroll for numerous local businesses and you know that they use Clockspot as their payroll management platform, ask them why they chose that instead of one or two of the other options which are available to businesses. If you've worked with payroll management software in the past, this is a good way to demonstrate your expertise, and it also communicates that you've done your homework, have an interest in how their business works, and are going to be an employee who is naturally curious, is interested in efficiency, and wants to understand the high-level business decisions that affect day-to-day operations at the company. The same is true if you're applying for a production or client-manager job at a marketing firm. Instead of asking "How do you manage assignments at [company]? What could I expect my day-to-day to look like if I joined the team? ", ask a question which communicates that you're informed, and highlights you as a candidate with desirable skills. For example, ask: "I've used both Trello and Slack in the past as solutions to workflow management and communication. I find that tools like that helped me to manage my tasks, set priorities, and deliver on schedule. How do you manage assignments and workflow here?" Preparing for a job interview does not have to be difficult, but it should definitely be done with care, and by doing some light research in advance, you can set yourself up for a successful interview. Have a big job interview coming up but unsure of where to start? Get prepared today so you can knock it out of the park! Here's our list of 5 killer first job interview tips to help you nail your interview.